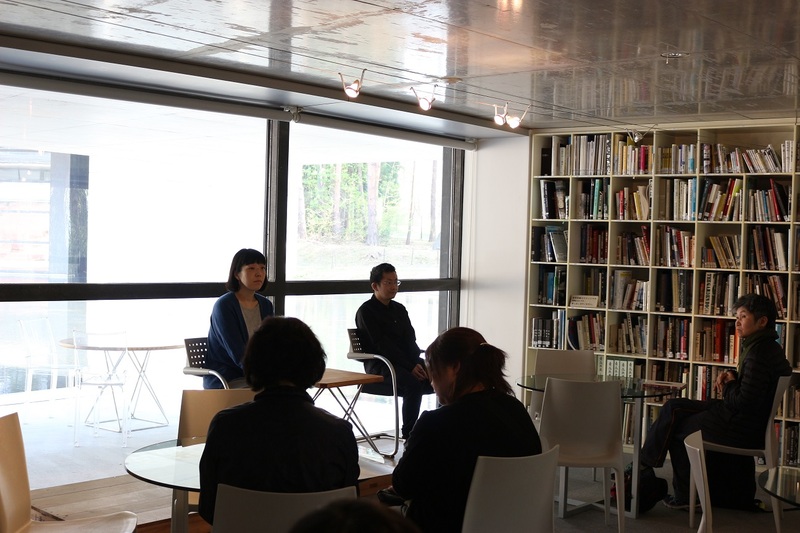 On last Sunday, 17th June, we held a talk event was connected with “Vision of Aomori vol.16 – Part 2 One Fine Day”. 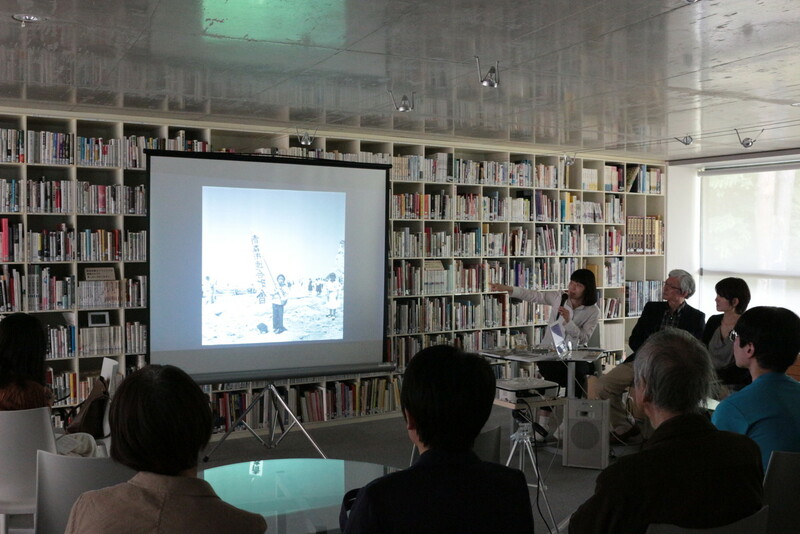 Masako is photographer, a granddaughter of KAKIZAKI Teizo who owned Kakitei Shoten. It was a general store that had been located on Yanagimachi-dori Avenue in Aomori City since the late 19th century. 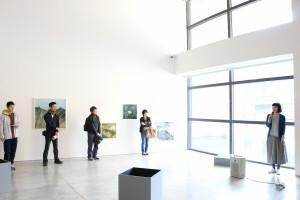 In the exhibition, we showed his snaps. In the event, we engaged SOMA Shinkichi as a guest. He is familiar with old pictures, maps, household utensils concerning Aomori City. 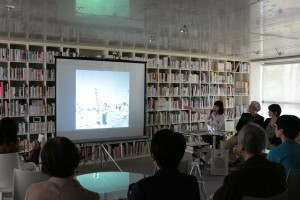 Masako and Shinkichi selected 5photos each other from Teizo’s photos, and talked about how interesting was it in own point of view. Her concern were angle as a picture, how her family lives, how people was feeling at the time, etc…. 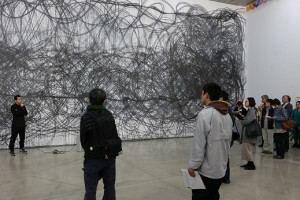 Other hands, His concern were places, time, what was this, what were people doing there, etc…. Audience sometimes said each guessing about situation in the pictures. There are not a lot of photos so much in Aomori city, due to burning in WW2. 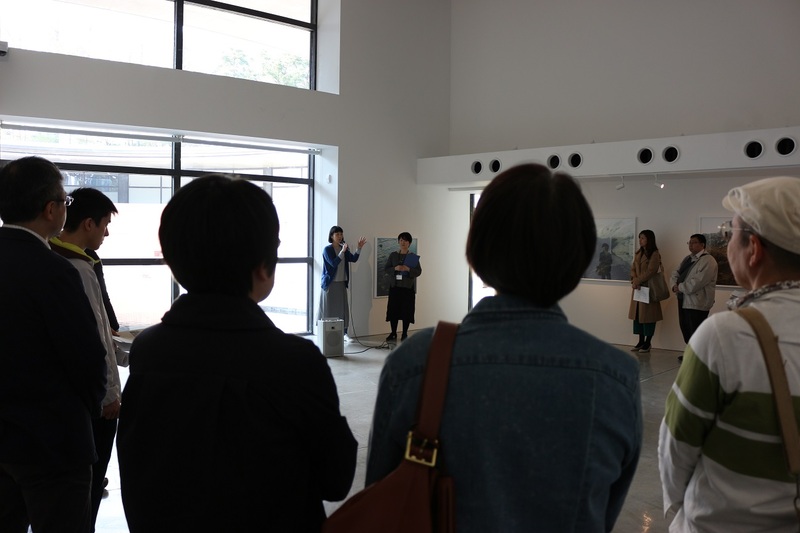 The event was good opportunity to thinking and sharing about people lived in Aomori at the time. The Three Exhibition in this spring have been opening since 28th April. We held a Opening Artist Talk in first day of the exhibition. We show you the events with photos. The each exhibition are held by 17th June.